As students enter preschool, many may already know their letters. Parents may even enroll a child in preschool and share with the teacher that she already know her letters. These students may be able to recite the ABCs, but can not visibly recognize the letters. The first step is to evaluate where your class is when it comes to letter recognition. You will find that students will recognize their uppercase letters before lowercase. Using a sheet as a guide, simply have students go through a list of uppercase and lowercase letters to identify what they know. Do not put the letters in alphabetical order; you want to test their visual recognition of the letters, and not the memorization of the ABCs. On your own recording form, circle the letters the students can not successfully identify. Complete this at the beginning of the year, mid-year, and at the end of the year. You can use the form at conference time, or just send it home with parents so they know what to work on. If typing the list of letters, be aware of the font used. Sometimes the letters, such as lowercase a and g, will look much different in a typeset and students will not recognize them. day. The students can dress in a color that begins with the letter of the day. Have a snack that starts with the letter, and the students can bring in an item that begins with the day’s letter. 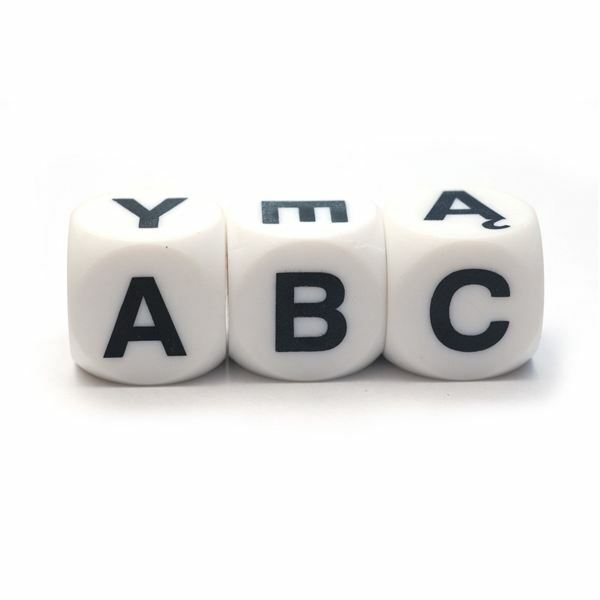 One simple way to teach letters is to surround your students with the alphabet. Be sure to hang an alphabet chart or alphabet posters so that the students are surrounded with letters. Reading alphabet books is another obvious choice for reinforcing the visual identification of letters. A favorite is Chicka Chicka Boom Boom by Bill Martin and John Archambault. After reading this book, we made a display in our classroom that consisted of a coconut tree along with the book title. I traced large block letters for the students to take home, and they had to put pictures of items that started with that letter. Keeping this display up in the room is another way to reinforce letter recognition. It is also a great exercise to work on letter sounds. Another fun and simple game requires that you make letters that you can put out on the floor. The easiest option may be to print out uppercase and lowercase letters on the computer. You can then attach the letters to card stock for durability and laminate each so that you can use them over and over again. Put the letters out on the ground in a large circle and start the music. When the music stops, each student has to name the letter they are standing on. This is a very easy game, and my students always enjoyed the activity. If you have access to alphabet cards, or you can print multiple small cards with letters on them, you have the simple elements needed for another easy activity. Hide the cards in a room and assign a letter or two to each student. They then must go around the room and find all of their letters. My students each had their own alphabet notebooks. As you work with small groups, you can do writing and other worksheet activities with the students. Glue any worksheets in the notebook and the students can have it to look at during their free time. It is also useful to share with parents at conference time, or leave them out for parents to peek at during the morning drop off time. My parents often waiting in the lobby for the children at the end of the day, so I would leave the notebooks out there with a sign inviting them to look through their child’s book while they waited. Letter recognition is a critical first step in reading readiness. Students must first recognize all of their letters before moving on to learning letter sounds. Taking the time to teach letter recognition will pay dividends as the students move on to learning phonics and letter sounds.